What’s So Important About a Beard? In this video a man by the name of Saad Tasleem explains how men in the modern age should change the reason they wear their beards. The common belief in “hipster” culture is that wearing a beard makes you a man. But Tasleem explains the real reason men should wear a beard is because it respects Allah who commanded men to wear their beards and trim their mustaches. He goes against the claim that wearing a beard is a fashion statement and that Muslim men should wear their beards regardless of the dominant fashion trends. In a similar video, Abu Mussab pleads with his male audience to keep their beards because Allah wants them to. He criticizes bosses who attack their employees with a beard because it will supposedly stop customers from shopping there. But the people are not there to buy a man’s beard. They are there to buy the product. He encourages the men to “be a man” and keep their beards regardless of the criticism they will face in their day-to-day lives. 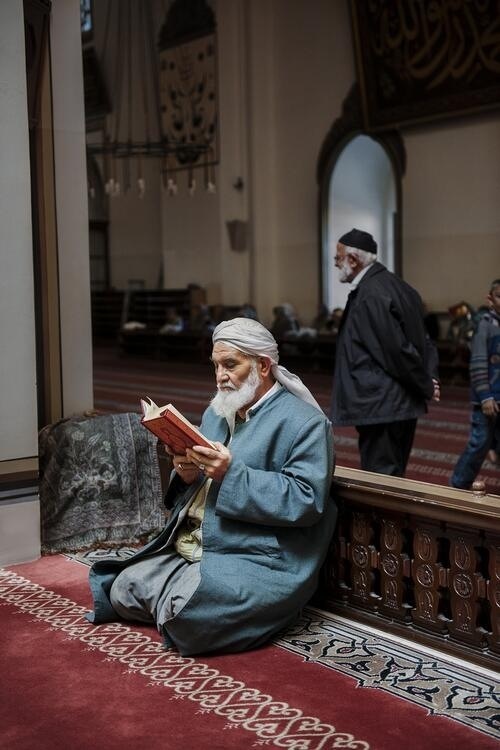 Overall, the religiously sanctioned beards of Islam are important because they are a commandment from Allah, but they are also a way for Muslim men to express their religiosity and make Islam visible. Bayoumi, Moustafa. How Does it Feel to Be a Problem? : Being Young and Arab in America. Penguin Books, 2009.